The wine seems to be born with early civilizations, always present and indissoluble mixed in our mythologies. The ancients believed that wine was a civilizing drink while pagan religions have sacred the wine and made it a gift of God. The archeological remains of our country confirm the wine culture since prehistoric times (3000-2700 BC). A.D. Xenopol, the renowned historian affirmed that the old homeland of the Dacians was a huge European wine region. This has been certified by the fact that ancients believed that this region was the birthplace of the god Dionysus (Greek) or Bacchus (the Romans). Dealu Mare, one of the oldest and most famous vintage areas in Romania, covers 15,000 ha of grapevine culture. The vineyard has strongly influenced the sub Carpathian landscape earning from their experience the name of "Land of Wine". Excavations in the area attest an old wine tradition of 2,000 years and the first written documents from the 14th and 15th confirm the presence of the vintages in this region. Dealu Mare includes many renowned wine cellars such as: Davino, Basilescu Wine cellar, LacertA Winery, Serve, Vinarte, Halewood Wine cellar, Wine cellar Rotenberg, Săhăteni areas, Oenoterra, Dealu Mare Urlaţi areas. The vineyard positioning is ideal for producing exceptional red wines such as Pinot Noirs, Cabernet and Merlot, as well as white wines such as Sauvignon Blanc, Fetească Albă, Riesling or Pinot Gris. TheV.I.P. in the local wine production are national grape varieties such as Fetească Neagră and Fetească Albă. 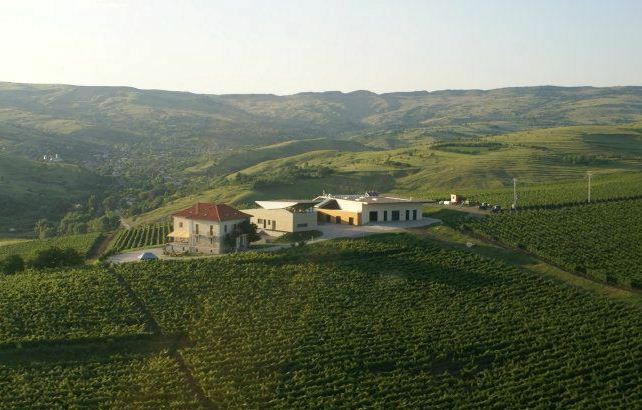 Dealu Mare is part of the "Wine Route", a wine tourism circuit that offers an unique experience in vineyards included in the circuit, in the royal courts, mansions, monasteries but also in two prestigious wineries as Urlați and Azuga, where it can be served traditional menu accompanied by local wines. The "Wine Route" promotes gold and ruby ​​liquors which boast every year with special prizes at competitions around the world, with best wine you will ever taste, produced in a region where nature and passion of those who produce it prints a divine fragrance.